Please send a mail here to register! Come and join in this weekend workshop in my studio, Ateljé Flow. 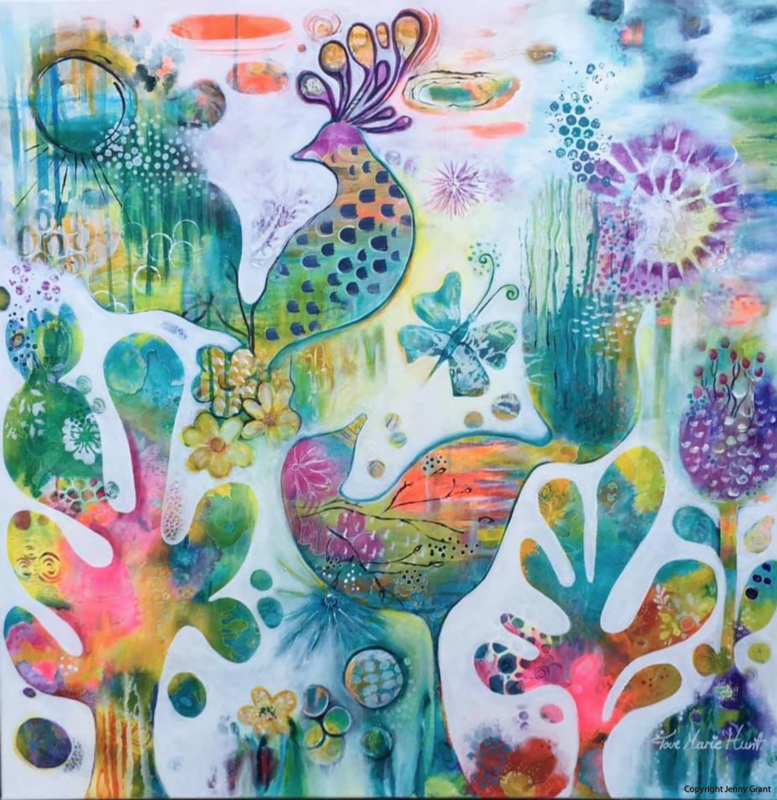 Tove is a vibrant Norweigen mixed media. 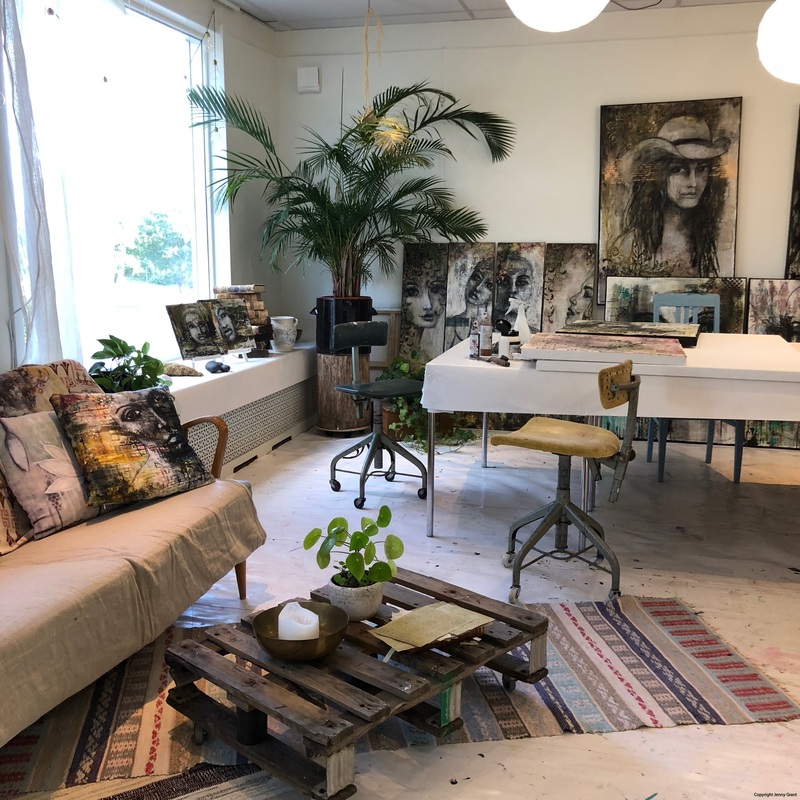 She is facilitating painting workshops all around Norway. She will come to Sweden for the first time and run her very popular Magisk Malning workshop in Ateljé Flow. 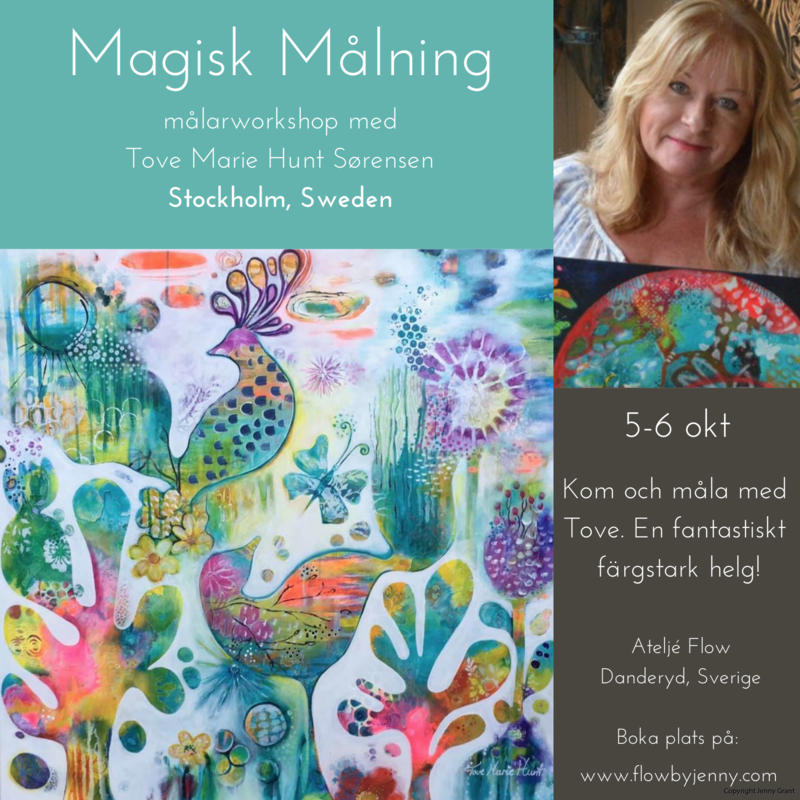 Tove is working with Mixed Media in a very colourful and intuitive style. She will share all her favourite techniques and processes. We will work with different media on canvas with acrylic ink, acrylic paint and pens. 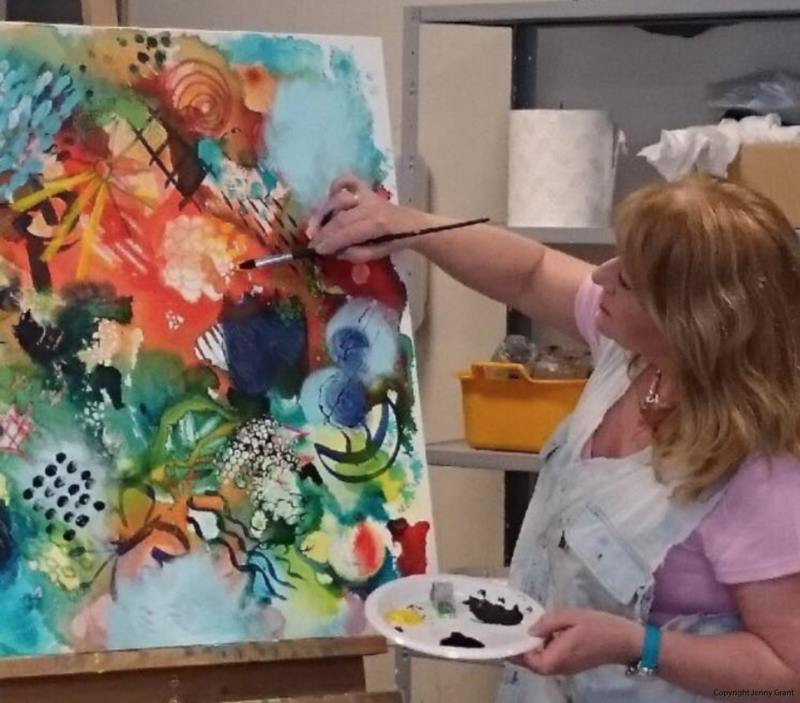 Would you like to be creative and learn something new? Would you like to have a relaxing fun weekend, just for you? You can be a beginner or an experienced artist. This workshop is for everyone! Art supply is not included in the basic price.